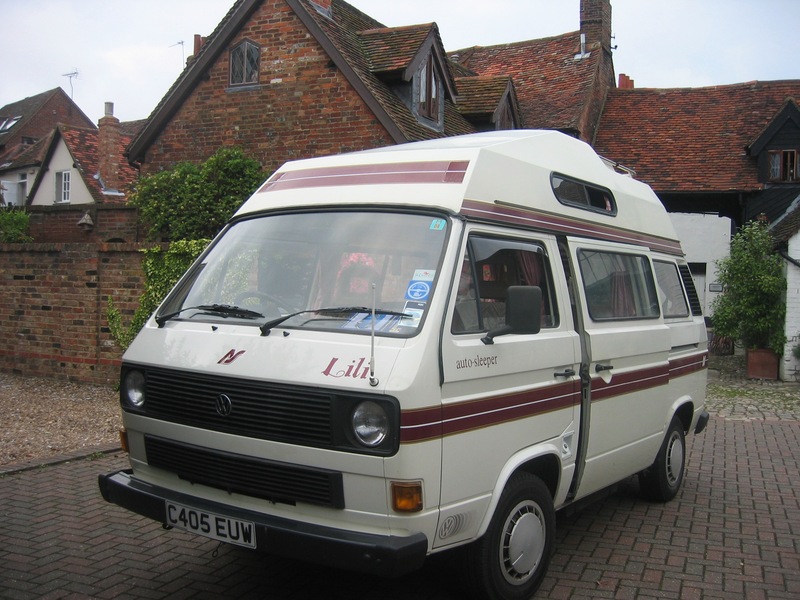 On Thursday evening we said a fond farewell to our much loved campervan, Lili. With us going travelling and storage costs etc. it just wasn’t feasible to keep hold of her. Although she is presently in very good nick, we were worried that after 18-months locked up several parts, including the engine, would have seized. We had it advertised only a few days before we shook hands with the new buyers Phil and Joanna Ball. They have promised to send some photos of their camping trips – like us at the time, they were very excited. We wish you and your family as many happy memories as we have. Sam went into hospital this morning at 7am in preparation for her surgery on her ankle. For those of you who are unaware, Sam has had trouble with her akilies for a number of years. I’m not sure of the specific medial term for her diagnosis, but basically, she developed a large callus on the back of her heel which rubs against her shoes etc. causing the tendon to swell and causing considerable pain – especially when walking more than few hundred yards. They have tried everything bar surgery, and without going into great detail, they have literally cut a wedge out of her anklebone to allow for normal spacing between the ankle and her footwear. The surgeon was pleased with the result and she’ll be in plaster for approx 6-weeks. She is now out of hospital and I’m running around like a skivy attending to her every need – I’ll keep you posted on my stress levels as I’m working from home for a few weeks :-). 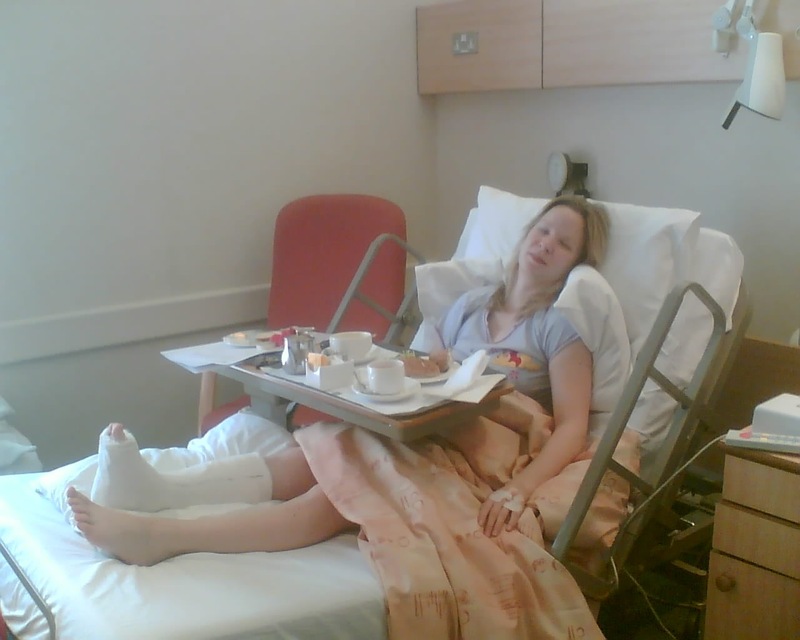 Here she is in the photo not long out of surgery and tucking into a 3-course lunch. I have to say a big thank you to the surgeon and staff at the Chiltern Hospital, they provided an excellent service and the facilities were outstanding – lunch and dinner menu, telephone, sky tv, en-suite – a far cry from the NHS. Thank you for looking after my Sammy.